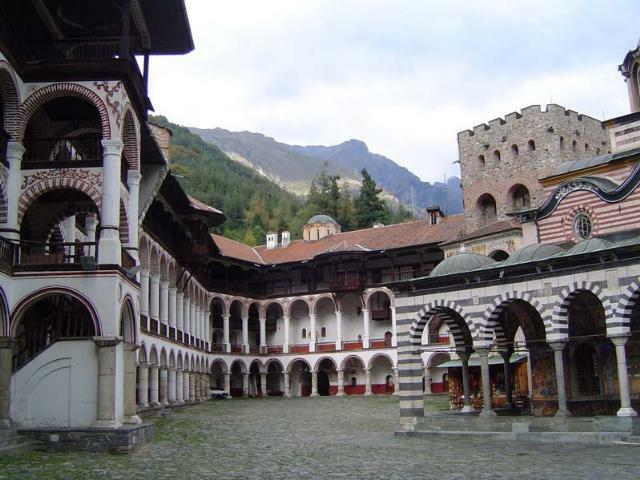 Rila Monastery was established in the 10 c. by the Bulgarian monk St. Ivan Rilski, whose relics are exhibited in the main church. Built high in the mountain, it surprises its visitors with its impressive beauty. 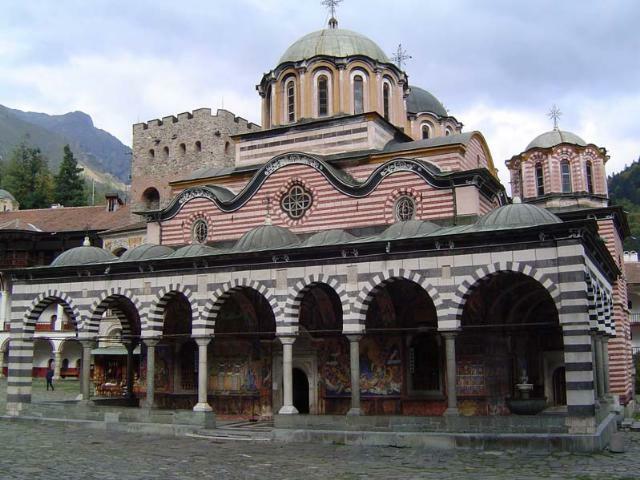 It is the largest monastery complex in Bulgaria and one of the most remarkable ones on the Balkan Peninsula. The main monastery church Holy Virgin rises in the middle of the inner yard next to the medieval Hrelyova Tower. 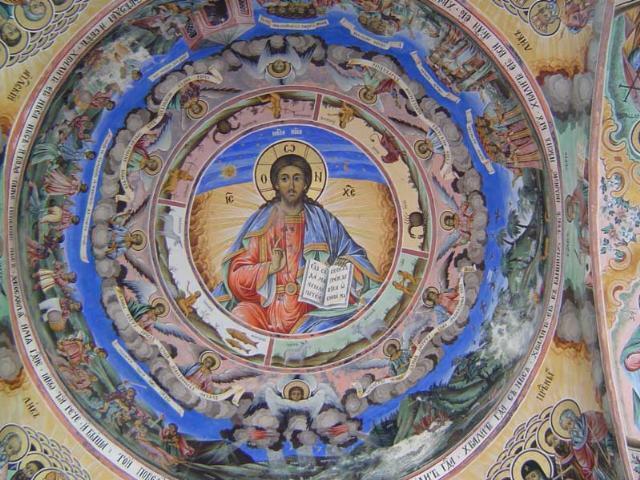 The murals from the 19th c., painted by craftsmen from Bansko and Samokov, are a remarkable sight. There are about 250 manuscript books from 11-19 c., 9000 old printed books, noted manuscripts, and graphic prints from the time of the Revival that are kept in the monastery. The monastery museum stores the Cross of Raphael. Its creator was a monk who carved in the cross 104 religious scenes and 650 tiny figures on a whole piece of wood with the help of fine chisels, small knives and magnifying glasses. 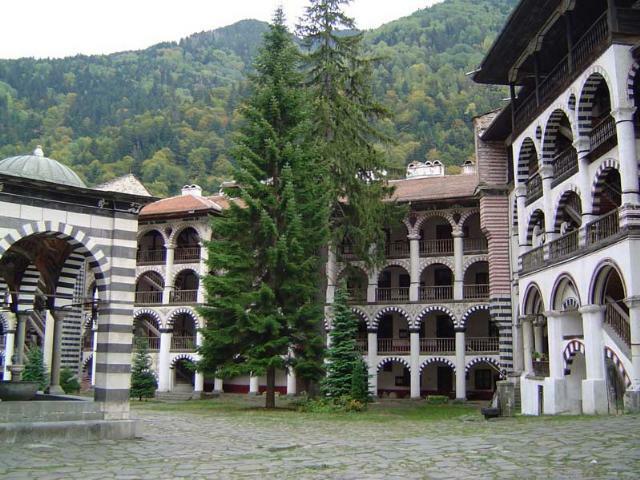 The Rila Monatsrey is inscribed in UNESCO's list of cultural sites.